The Italian replaces Eusebio Di Francesco, who left the club on Thursday following Roma's Champions League round of 16 defeat to Porto. 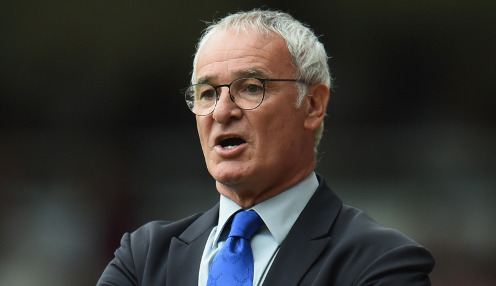 Ranieri, who had an 18-month spell as head coach of Roma between 2009 and 2011, struggled during his brief time at Fulham, winning just 17 of his Premier League games in charge of the Cottagers. He told the club's website: "I'm delighted to be coming back home. When Roma call you, it's impossible to say no." Ranieri has had a varied coaching career with its peak coming in 2015/16 when he guided Leicester City to the Premier League title. He has also been in charge of the likes of Chelsea, Valencia and Monaco, with Roma director Francesco Totti saying: "Claudio's from the city, he's a Roma fan but, more than that, he's one of the most experienced coaches in world football. "What we need now is a safe pair of hands to guide us back into the top four and ensure that we are playing Champions League football again next season. "We have 12 games left and we need to win as many of them as possible." Roma are currently fifth in Serie A, three points outside the top four. They are 8/15 to beat Empoli on Monday.